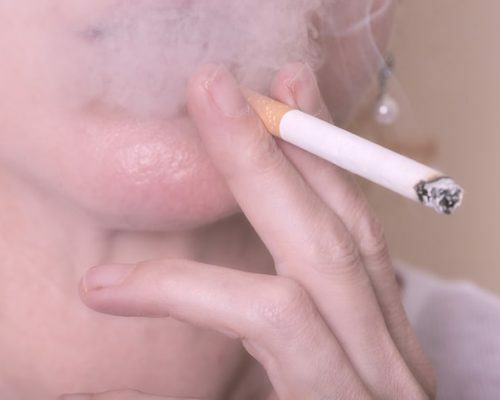 The latest research findings have uncovered that continuous exposure to indoor secondhand smoke is linked with a higher risk of heart arrhythmias. This is because exposure to secondhand smoke causes changes to the heart’s electrical activity. The study was conducted in mice, and researchers uncovered that secondhand smoke exposure alters cells that regulate how the heart beats. This is the first study to explore cellular changes in the heart as a result of secondhand smoke exposure. Mice were exposed to secondhand smoke in a specially designed chamber. Smoke levels were set to mimic those that humans would be exposed to in public areas with smoker’s present. The mice received exposure to smoke for four, eight, and 12 weeks for six hours a day, five days a week. The mice hearts were examined using high-speed imaging and electrocardiograms to detect any changes in electrical activity. To test for arrhythmias, hearts were paced at fast heart rates and calcium levels were measured, which is important for heart regulation of contractions and could contribute to abnormal rhythms. The results of the mice exposed to secondhand smoke were compared to the mice who were exposed to filtered air. Mice hearts exposed to secondhand smoke could not tolerate fast heart rates, with the least amount of tolerance occurring at the 12th week of exposure. Furthermore, calcium did not respond quickly enough, which led to beat-to-beat instability. It is already well known that smoking is harmful to overall health. But even if you aren’t a smoker, your heart health is still at risk as a result of secondhand smoke exposure. Also read: What Are the Different Types of Arrhythmias?